The Universal Serial Bus, or as it is now commonly referred to as the USB, is a port designed to provide power supply or share data between electronic devices. 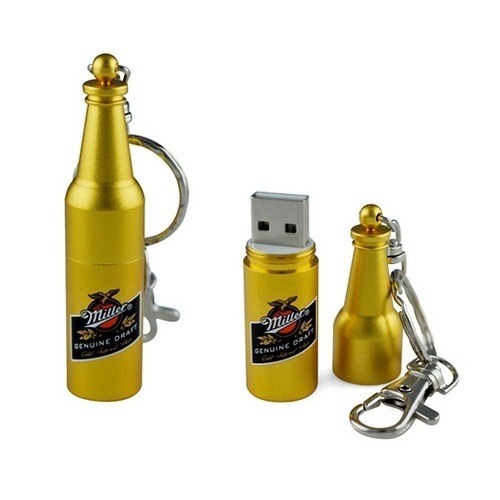 Ask someone to think about a USB, most people will naturally assume you are talking about a memory stick, which in essence is a super small, lightweight portable hard disk. However don’t confuse a USB port (the holding device) with a USB flash drive (a memory stick). The USB (both port and flash drive) is something most of us take for granted in modern times, so I thought in this post it would be interesting to look at some of the uses for USBs, and how the USB has evolved over time. Design prototyping for the USB began when computing was still in its infancy, way back 18 years ago in 1994. At the time the port was being developed by the big players in the computing industry – Microsoft, Compaq, Intel, IBM, etc. These companies realised that there was (at the time) no easy medium which allowed communication through computers. For the computer to evolve, the companies realised that this would be an integral part of the system, as if you cannot share data, options are limited. Do remember this was happening in times before the internet was the global phenomenon it is today. The first USB was produced in 1995 by Intel. Computers of the time started to come fitted with one or two USB 1.0 ports – although looking back, relatively few PCs were ever released with USB 1.0 ports. Nowadays, USB ports are in most cases a necessity for keyboard and mouse input devices. The USB 1.0 was a revolutionary product, however looking back, its functionality was limited. Its maximum data transfer speed was 12 megabits per second. Relatively slow. That said, back when it was first introduced, a computers internal hard drive was typically only sized around 256/1024 mb (1/4 of a gigabyte to one gigabyte). In late 2000, the USB flash drive was released, enabling users to store more data than ever before, by storing things external to their computer. It would be an understatement to say that the USB flash drive was a step up from the floppy disk – it was more of a leap up! Initially, most USBs were typically 8 megabytes in size, meaning that they could hold more than five times what a floppy disk could. Earlier in the year, the USB 2.0 was released, meaning that data transfer could happen 40 times faster, at 480 megabits per second. Initially some flash drives were designed for 1.0, however soon they were all being designed for the new 2.0 port, due to the increased possibilities. In 2008, the currently less well known USB 3.0 was released, which is more than ten times faster than its 2.0 brother. USB flash drives have also improved over the years, and it is now possible to get a USB flash drive that is 256 gigabytes – one quarter of a terabyte. These disks are bigger than most computer hard drives were just a few years ago, showing the extent of the upgrades this technology has undergone. A 256 gigabyte memory stick would though be useless with a USB 1.0 port as filling it would take almost 2 days (1.98 days) due to the speed of the data transfer. Even with a USB 2.0 port, the data transfer would take almost 72 minutes – more than an hour. Modern USB 3.0 ports could have the job done in less than 7 minutes. That really shows the true scale or achievement and advancement made in the USB industry. The USB is a crucial component of the modern PC, and is also very important for other devices. It is now possible to power many smartphones and multimedia devices via USB, either through a plug or your computer. Some people use USB sticks to carry around a portable operating system with them, as it is perfectly possible to load Windows 7 onto a 16 gb memory stick and carry it around with you. The USB itself is a very flexible (not literally, the board would probably snap were you to bend it) device, with a lot of room for aesthetic variation. You can now get a range of Promotional USB Sticks, which many organisations often utilise, choosing to offer branded USBs as promotional gifts. This is all thanks to the readily available technology and cheap price of the components involved. 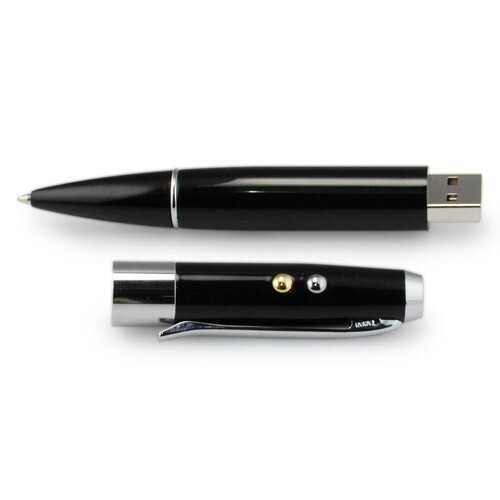 USBs now come shaped as credit cards, keys, pens, robots, people and even wine bottles! I have a carved wooden one, very nice. Nice, how big is it? 512mb, 1gb, 2gb etc.? I have a 32gb one, I could theoretically partition it and install two operating systems on it! Pretty interesting, I didn’t know the USB was in developement as a mode of data transfer before the internet was in vogue. It has truly been a highly useful invention to this day. The ease and reliability of it is unquestionable. It amazes me that we actually used floppy disks once upon a time. I remember having to zip up a few megabytes worth of data over a number of floppy drives using WinRAR file splitting and then praying that they all worked once at the other computer since floppies were so notorious for getting the data corrupt. A while back a vendor rep gave me a combination pen/laser pointer/16 GB flash drive. I love that thing. When I first got it I felt so James Bond like! In response to Jean above, I too remember having to split files across 1.44mb “floppy” disks that never were really all that floppy. I also remember 100MB Zip disks from Iomega. THAT was a trip. I used to wonder how I would ever fill up so many megabytes of storage! Oh how times have changed. Now I’m now surprised when I fill up terabyte drives. Ha! It was only a few years ago (only 5-10 really) however we have advanced so much in that time it seems like it was much longer ago! A really great write up. USB technology has advanced immensely over the past 10 years, and with more and more modern computers adopting USB 3.0, super fast data transfer is becoming the norm worldwide. Intel for example are pushing for this technology with their Ultrabooks trying to get USB 3.0 as standard in modern laptops. USB 2.0 is okay however if you are used to it. Consumers should just note that there are better technologies out there :).